Hi, we’re Zane & Van – partners in life, love, and everything else. 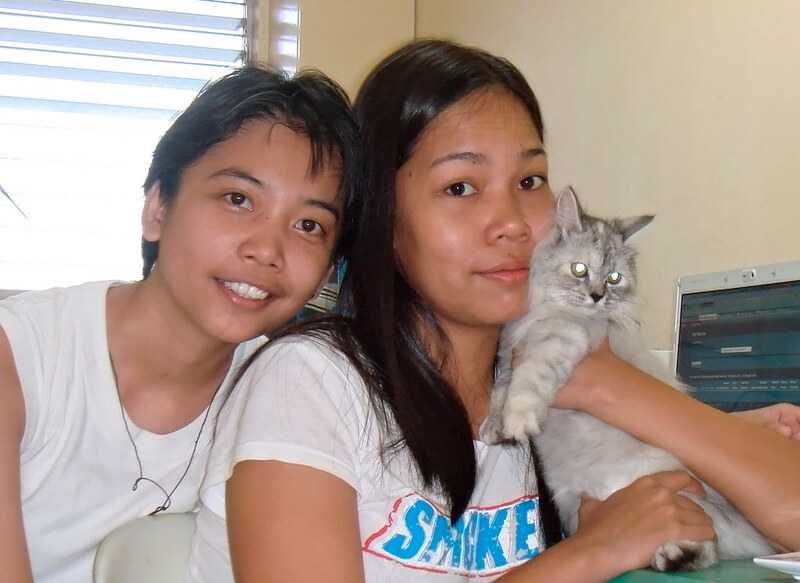 Based in Dumaguete City, Philippines, we’re both thriving online freelance writers and self-confessed food-aholics with a penchant of fuelling each other’s crazy-cat-lady inclinations. Together with our 6 feline housemates, we created this blog to share stories of our cooking adventures, food discoveries, travel escapades, beauty finds, cat fervour, and a whole lot of geek-awesomeness! Spicy Beautiful is a lifestyle blog named for our attachment to spice and everything nice. Hope you’ll be with us throughout our continuing quest for gastronomic delights, travel destinations, food jaunts and so much more! Zane is the household’s head chef who has a fondness for fiery cooking creations. A middling cook, novice photographer, moderate gamer, avid reader, frustrated novelist and all-around glutton for anything sci-fi and fantasy related. Van is the household’s sous-chef (more like soup-chef) who has a fondness of eating Zane’s fiery creations before they could make it to the dining table. A soup cook (no kidding! ), hopeful baker, beauty writer, aspiring poet and all-around cat mamyls. Spicy Beautiful is a personal blog of Zane Artes and Van Triunfo. We have no claims on having been formally trained in the culinary or in the beauty and cosmetics arts so we have no real authority on these subject matters. Also, all images have been painstakingly taken by us but we are in no way claiming to be professional photographers. We simply enjoy imparting our love of food, beauty discoveries and other associated materials with all of you. All content are based on our personal views, opinions, preferences, taste and recommendations. We bought and paid for every single product and resources that were used in the making of our blog posts and there are no influenced endorsements unless otherwise specified.